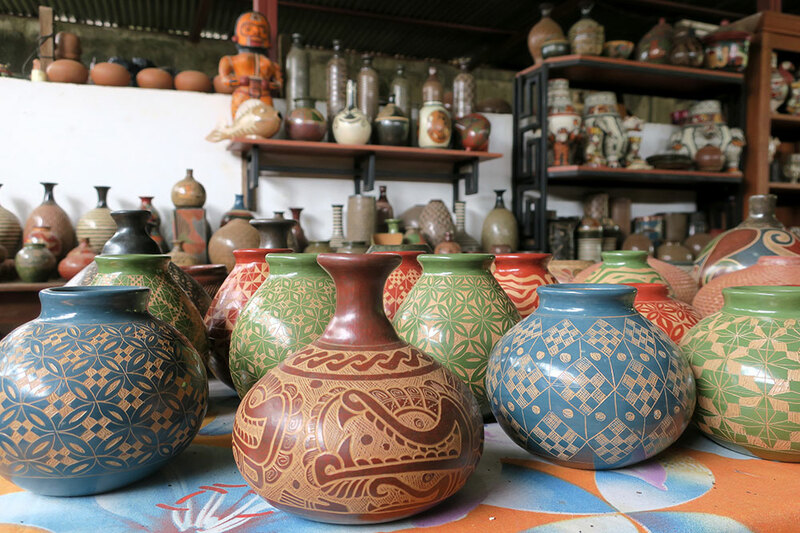 Guatemala may be Central America’s greatest craft center, but Nicaragua ranks as a close second. On a previous visit, we had great fun browsing the historic market at Masaya, where vendors assemble all manner of crafts, ranging from woodwork to ceramics to painting, as well as some tourist trinkets. Bargaining is a low-key affair, unlike in Morocco or Turkey, making shopping stress-free. 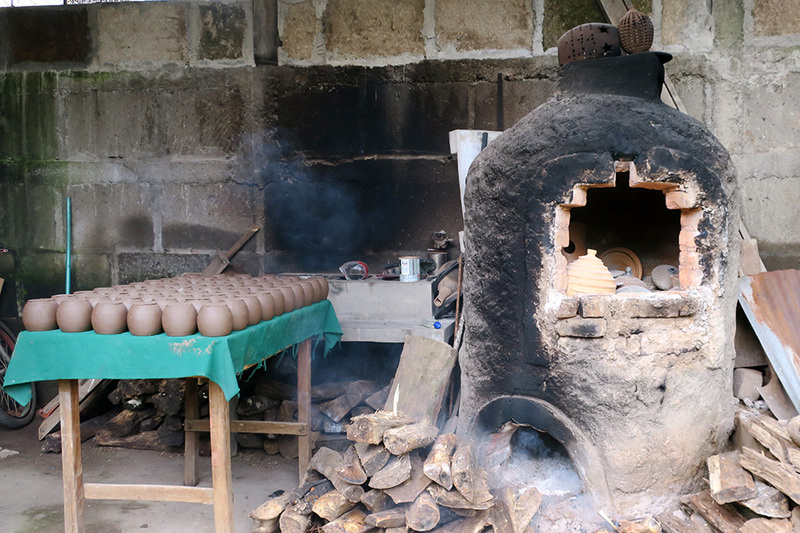 On this trip, we decided instead to head to one of the nearby craft villages, San Juan de Oriente, where many of the ceramics sold in the Masaya market are produced. The town has numerous workshops, and one of the best belongs to Miguel Angel Calero (located near the local Catholic church), a former mayor of the town. There’s nothing fancy about his warehouse-like workshop and showroom, covered by a corrugated-metal roof, but the ceramics are undeniably beautiful. He produces pre-Columbian-inspired zoomorphic pieces, colorful traditional works with figurative and geometric motifs, and strikingly contemporary ceramics. We came away with two intricately detailed votive lanterns, both of which were remarkably well-priced considering the labor and artistry involved. 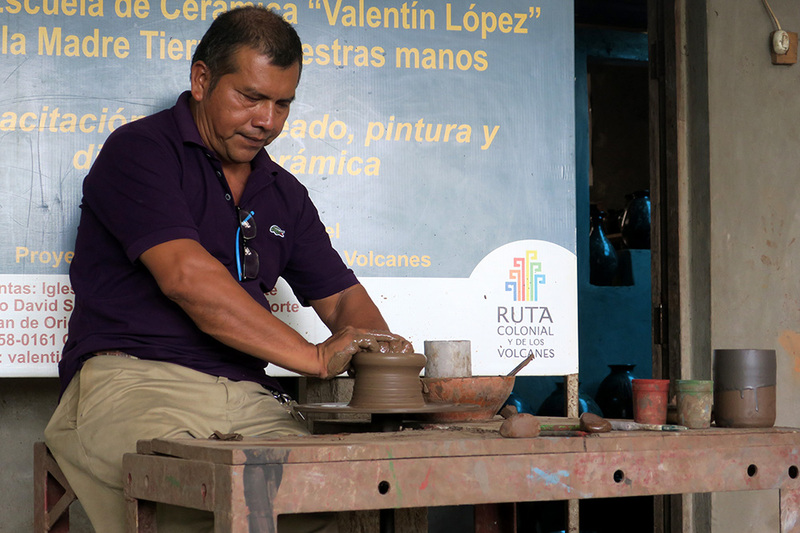 The guide from Nekupe who accompanied us also recommended visiting the Taller Escuela de Cerámica Valentín López (Reparto David Salazar), which he claimed was the best workshop in town. But the pieces in the showroom weren’t as striking as those in Calero’s, and the school provided a well-practiced demonstration that felt too rote and touristy for my taste. We found a vase we liked, incised with an abstract swirling pattern, amid a large number of less impressive pieces. Calero is a superior choice, both in terms of the workmanship and the sense of authenticity. If you visit San Juan de Oriente, I also recommend stopping at the nearby Mirador de Catarina, a viewpoint offering magnificent panoramas of a vast lake filling an ancient caldera. In clear weather, you can see the colonial town of Granada beyond the far shore, looking small and fragile next to the giant blue bowl of the old volcano.